Like many food myths, uncertainties about its origin swirl around in a Negroni like the Campari herb and fruit aperitif which characterizes the cocktail. At some point in history, one count or another by the name of Negroni has claimed credit for the drink. The enduring myth is that in 1919, a Corsican-born French soldier, Count Camillo Negroni, asked a bartender at the Bar Giacosa (or was it the Hotel Baglioni?) in Florence, Italy, to put some gin in his Campari, sweet vermouth and soda (a drink called an Americano) to toughen it up a bit. Sometimes slammed for its medicinal taste, the Negroni, in modern times, has caught the popular cocktail imagination thanks to the television hit “Mad Men,” and it has several permutations in Waterloo Region. For instance, the Negroni at Waterloo’s Wildcraft Grill Bar uses a lemon garnish, rather than the original orange zest. Whatever the citrus, it is simply a classic aperitif cocktail. At Kitchener’s Grand Trunk Saloon (GTS), you could even have your choice of Canadian gins, says bartender Dan Reiss. They might tweak the mix with a bit more gin in the mix than the classic ratio to Campari and vermouth, or they might pour in Cocchi Americano, a citrusy, bitter, fortified aperitif wine, adds GTS’s Kevin Ryrie. 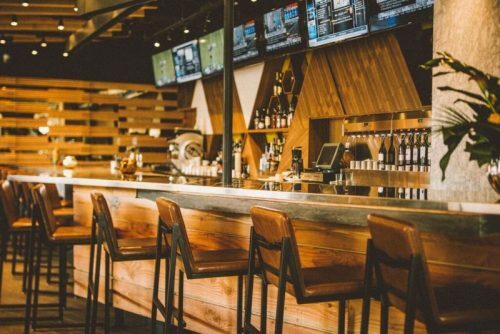 Public Kitchen & Bar in Kitchener’s Bridgeport neighbourhood takes the “architecture” of a Negroni and uses it to riff on a Boulevardier, which they call “Kissing Cousins,” by substituting Scotch for gin to give the drink a darker and more woody spirit, according to Ryan King of Public. 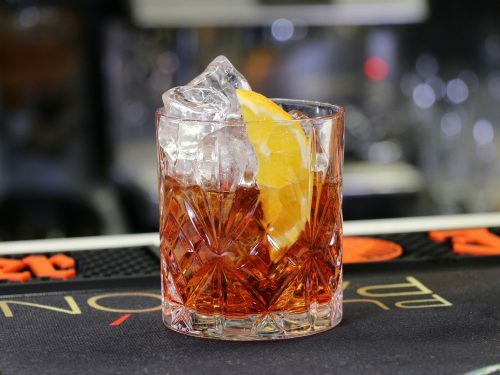 “We also substitute Amaro for the Campari which makes it more of an after dinner digestif than an aperitif sipper like a Negroni,” says King. At Proof Kitchen & Lounge in Waterloo, mixologist Abbey Rush says the classic Negroni ingredients have the perfect balance of dry, sweet and bitter, but she adds she might change that up a bit too. A few blocks away at King Street Trio in Uptown Waterloo, owner Brian Plouffe calls the Negroni a true bar standard.